I love this time of the year for so many reasons. And each year that list of reasons grows by at least another couple of demonstrations of Christmas cheer. It's not even December yet but it's already feeling like the most wonderful time of the year. I've just put up our Christmas tree. Ain't life grand when you can stop and read the instructions before attempting to assemble your Christmas tree? Do you remember those plasticky monstrosities of the 80s that were basically life sized versions of the play sets you played with as a child? These days, even your most basic tree features a bit of contrasting greenery in the branches with subtle brown branch detailing as well. Things are extremely precise in the Christmas tree world these days. I'm just waiting for Preschooler SSG to come home so that we can decorate the tree together. There's a bit of a story behind our tree. It all started off in Target where I bumped into a friend who had also decided that this was The Year for putting up a Christmas Tree. With both our preschoolers understanding what Christmas is this year and also having demonstrated a sense of respect for boundaries and gentleness towards the Christmas trees already already dotted around Westfield: we were both ready to take the plunge. There was only one problem. The 'proper' looking 183cm green trees were all already sold out. If we were willing to shell out $99 for a 208 cm tall tree we'd be fine but apparently Target Bondi Junction is already all out of mid sized trees. We were actually both pretty fine with it because the thought of going to another shop to look for a tree that may or may not be there was overwhelming us both. There was a bit of deliberation between us before we both decided to get our baubles and think on the $99 trees. Because I was the one at the shops free range (Preschooler SSG was at preschool while my friend had her preschooler with her), I volunteered to check out Woolworths to see if there was a tree there that might suit us both a bit better. Good call, SSG. I found this premium 180cm tall tree that was labelled as costing $60 but magic happened at the checkout and it scanned for only $30. I breathlessly texted my friend a photo of the aisle were the trees were, what the box looked like and the final price. Then I followed up with instructions on the quickest possible way to get to Woolies from Target. So now we've both got the same tree and decorations plus it all came in at well under budget leaving us both with a bit of self gifting money, I think. It takes a village and teamwork to raise children (and save your sanity) especially at Christmas. This year's tree(s) and decorations are an ensemble effort from Target, KMart and Woolworths. Trees? I just couldn't let my beloved dragon plant go untouched by the spirit of Christmas. Its branches are festooned with my 'Scandi style' ornaments from last year as well as a few additions from Woolworths' current range. Though, I apologise, the correct term appears to be 'Nordic'. Banh Mi is finally on its way back to The Junction. Aldi's peanut butter is my favourite and the best. I spent $80 at Officeworks replacing glue sticks, trying some new adhesive options for Preschooler SSG's craft and splashing out on some premium grade scissors because scissors whose handles break at the drop of a hat Frustrate me. I think I love Drano almost as much as I love WD40. I just unblocked the drain in my bathroom sink. No call out fee for a plumber! No half day lost waiting for said plumber to arrive! My self gifting fund this Christmas is looking surprisingly healthy all of a sudden. Let's just say it's been one of those Mondays. The kind that's best approached with the kind of laugh I'd otherwise be having over some vintage Biden and Obama memes. Where do I begin? Bags that got left behind in the mad dash out the front door and down the driveway this morning. The walk of shame back home to then retrieve said forgotten bag before facing the traffic that's 500% worse than the traffic you usually get when you're running on time. Forgetting to put half my lunch into the fridge at work. Forgetting change of plans at work today because I didn't write things up in my diary when I got the email about it last week. It really just snowballed melodramatically. But worst of all? The fiasco that was me just trying to find a park at work. Pressing the red ticket button and getting a public parking ticket instead of using my work parking swipe card. Trying to recover from your absent minded reflex action will take years of your life, do bad things to your blood pressure and ruin your makeup. You can't just take your swipe card and run it on the scanner on foot to fix things because there's some kind of weight scanner that only lets the thing work when a car is at the boom gate. You can't just drive straight on through with the offending paper ticket because you have to pay for it before putting it in the exit gate - at the pay machine back at the entrance. It was all too much for me to deal with first thing this morning so I went back at lunch to sort things out. And this is where I got even sillier. I paid for the paper ticket before remembering that because I got into the staff area eventually, I didn't even need the ticket to use the staff only boom gate in the lower zone of the car park. It's been a very expensive day in work parking. It didn't end there. Guess who then tried to get out of the shopping centre car park with the work paper ticket? Have you totally failed at your work car park recently? Please tell me I'm not the only person who's done this. I think I'll just have to focus on celebrating the small wins for now. Like how I'm getting the hang of Christmas craft. Who knew you could make a Santa out of a paper plate? Or Lego? I think I just might get myself some Lego this Christmas. I could even share it with Preschooler SSG. My feet might live to regret this plan but ... #yolo. My boss has been looking out for all of us over the Christmas / New Year break. He sent us all a very complicated Excel spreadsheet outlining each of our individual whereabouts for the duration. And a spritz of nice perfume always makes the world a better place. We went for a walk around the 'hood yesterday afternoon. The sky might have been a bit ordinary but the flowers more than made up for it. I made the most of these last few weeks of jacaranda blooms. And fell in love with this deceptively simple front garden. Thank goodness tomorrow's Tuesday. They're always a good day of the week. The dedicated gate for a QANTAS flight to Antarctica. 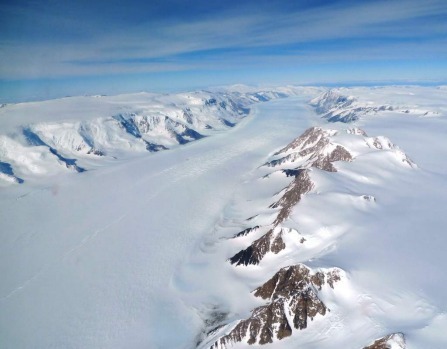 taking a day trip and flying from Sydney to Antarctica return on a chartered QANTAS plane. if your body (and mind) tend not too cope well in freezing temperatures. Then visiting by air in climate and pressure controlled comfort is obviously the only way to do it. People in most seats are issued with two 'tickets' that see them swap seats to ensure everyone gets a chance to sit by the windows. 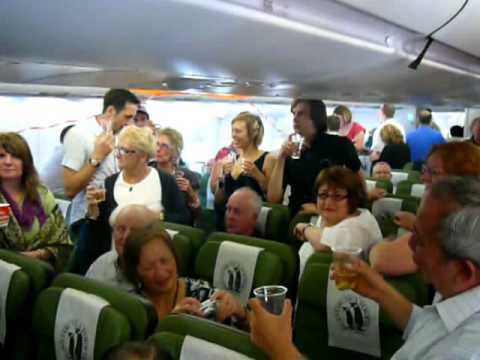 For those that miss out, though, I have read that the atmosphere is so friendly on board that most of those with window seats to share their view with others quite happily. 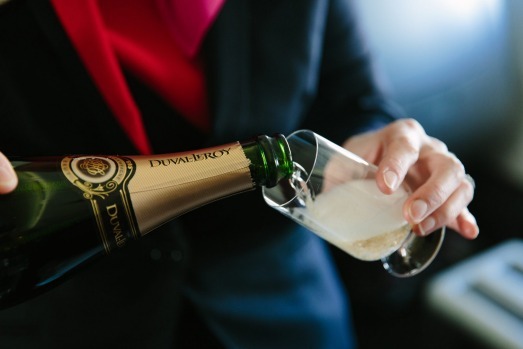 The flight is fully catered / staffed as per regular QANTAS flights which includes in flight entertainment but sadly, as it is a charter flight, frequent flyer points cannot be accrued on the flight. You can access the flight lounges on the day of your flight based on your regular QANTAS membership though. It takes several hours to reach Antarctica and several more to return making the total duration for the flight from Sydney around 12 hours. 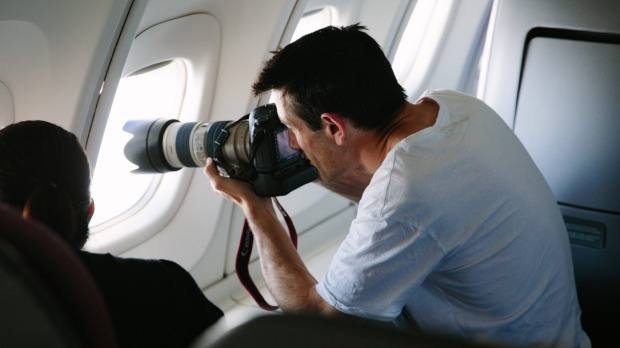 The flight features several Antarctica experts and expeditioners on each flight who give presentations on board. In addition to the in flight education, there is a band that plays on board plus the usual QANTAS hospitality. But I think it would be the energy on board that would make this flight so special. It's such a unique and breathtaking thing to do with so few flights per year, everyone on board would just have to be at least happy (if not ecstatic in my case) to be there. Can you imagine the conversations you'd have on board with fellow passengers and the crew? The photos? The blog posts? Not sure if you can Instagram or live tweet but who knows what may be possible by the time I book my ticket. On the issue of photos, apparently you fly so closely that even the camera on your average smart phone will give you some brilliant photos. I've got the plan, I've got a deadline. I just have to start saving and planning. 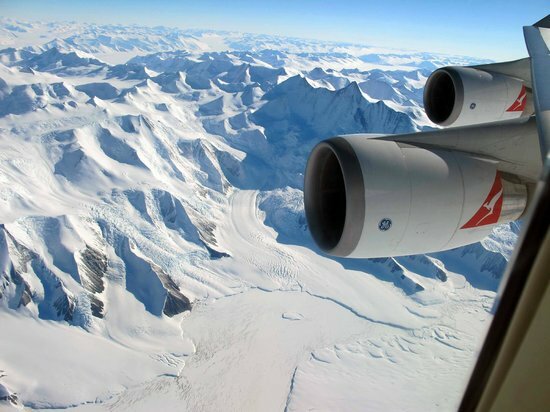 Have you done this flight to Antarctica yourself? Do you have anything bucket list level planned for an upcoming birthday? It's the last weekend of November and it's got me thinking of summer, days off and the bit of R and R that the Christmas / New Year break will bring. Have you had a busy one yourself? I took the plunge today and went with a summery new lip colour to ease myself into the forthcoming new season. I've never worn anything from the orange colour family on my lips before. But now that I think of it, it would probably work with more of my wardrobe than a hot pink. My inspiration was the household's current favourite drink - freshly squeezed orange juice. It's working out to be more economical than our local cold pressed juice bar. We made the most of yesterday's sun and went for a walk and some park time in Surry Hills where everything is hipper and more colourful than it is anywhere else in Sydney. Of course I said yes to a scoop of Messina on our way back from the park. Those desserts. One day I will be organized enough to be in a position to buy one and be able to take it home in a timely manner to be savoured after dinner. It's not just the inventive ingredient combinations that get me, it's each flavour's name as well. Some are pretty succinct but it's just the thought of the salted coconut and mango together that had me curious. And then there's the 'witty play on words' flavours. My final choice was Crumb on Over which featured salted caramel cheesecake and Oreo pieces while my brother chose Sticken To My Date. Both the kinds of gelato that are the reason for hashtags like #thisiswhyirun. And then it was onwards to Martin Place for the concert that marked the switching on of the Christmas Tree lights for 2016. The principle charity being supported by the concert this year was the Guide Dogs Association. For $5, show bags could be purchased featuring a Lego Santa, reindeer ears and an LED star wand. Preschooler SSG really got into the spirit of the concert this year. He wore his ears and danced, jingled and sang with abandon. He looked out for the Bananas as they walked around Martin Place posing with their fans and provided me with a running commentary of everything going on around us. Hot Potato played live amongst us the audience from the moment the gates were open and their set was pitch perfect. A few festive favourites, their own arrangements of top forty stuff and a bit of everything in between. It was just the kind of music to set the mood for a fun evening of sharing a bag of prawn crackers with a new friend. As usual, The City Of Sydney impeccably planned and supported this event. A local food court had extended opening hours so dinner (and toilet access) was sorted for most families attending. Security was present to keep everything orderly and there were designated zones for prams and lost children. Little things that made the two hour event much more doable than it would otherwise have been for families bringing young children. Performers included the Bananas (of course), Justine Clarke and a children's choir. My only minor complaint / observation is that two hours is a pretty big ask for the younger children. They were all getting quite restless after the first hour of music and it was a struggle for many of us to keep our children safely seated for the fireworks and lighting of the tree. That being said, the way the concert was timed was probably the best compromise possible to cater for the largest range of both family and non family attendees. Finishing the concert at 6.30pm would not have shown off the tree or the fireworks to their best advantage. It was a good test run for us though because I know for sure that attempting a night of carols at Rushcutter's Bay next weekend probably will not be a good idea. It ends up being a very long night for a preschooler. But we did it! Preschooler SSG managed to see the tree lit up and with my help was able to look at the fireworks overhead as well. And of course, Mariah's classic 'All I Want For Christmas' featured in the finale soundtrack. Which all worked out well for me. Are you all set for Thursday aka December 1 2016? We are. Wishing you a great week, we're nearly there!